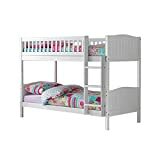 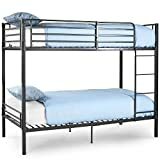 Single bunk beds are also referred to as a standard bunk bed (or twin sleeper bunk bed) and is still the most sought after configuration in the market. 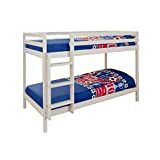 As the name suggests, this type of bunk bed comprises of two single size beds that are stacked on top of each other. 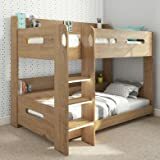 This type of bunk bed is used primarily to accommodate two children of about similar age but this is obviously not a rule set in stone. 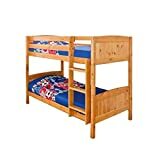 If you just have one child, you can use the additional bed to house your houseguests overnight. 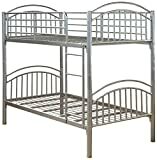 The bed will be very handy if you ever expand your family by another member. 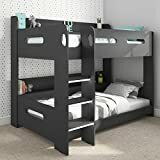 It is possible to separate most of the bunk beds of this type into 2 separate units and this adds an important practical value to the concept. 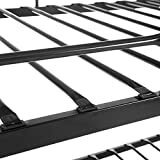 These beds often come equipped with storage drawers or trundle beds. 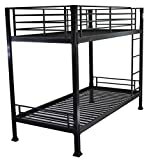 However, the trundle beds are mostly optional items.